Socialist Democrat Alexandria Ocasio-Cortez has spent the weeks since she won New York’s 14th Congressional District primary in the spotlight around the country stumping for other left-wing candidates and at media appearances, but the last two events in her state have been closed to the press. The media were not allowed to attend campaign events in the Bronx and Corona, New York, last week, according to the Queens Chronicle. But unless you were in the room on Sunday, you won’t know what specific community problems were mentioned or how Ocasio-Cortez planned to address them once she is sworn in. That’s because her campaign banned members of the media from attending the event, which was otherwise open to the public. The newspaper noted that she has become a political star since her victory, getting written up in the New York Times and Rolling Stone and appeared on The Late Show with Stephen Colbert. The Chronicle asked Trent if it was hypocritical for Ocasio-Cortez to make splashy national appearances but to block local media from covering local events. Social media posts by those in the meetings, however, did reveal some of the topics discussed, including racism, according to the Chronicle. Ocasio-Cortez also tweeted about one of the events. “At yesterday’s town hall, someone asked how I, as just a human, am dealing with the hate, subconscious bias, and criticism. … I’ve been told my whole life I’m not up to snuff. 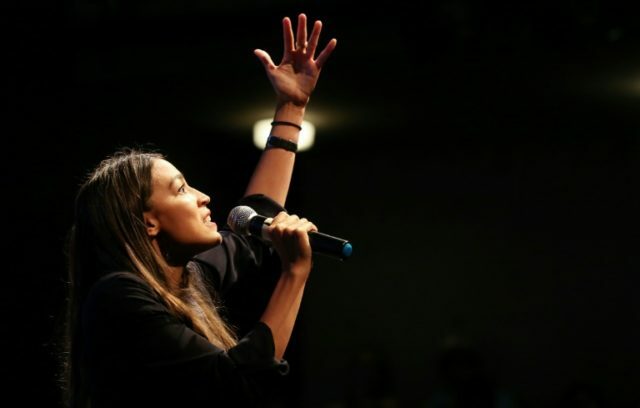 Folks always doubt my worthiness until I get it done,” Ocasio-Cortez said.